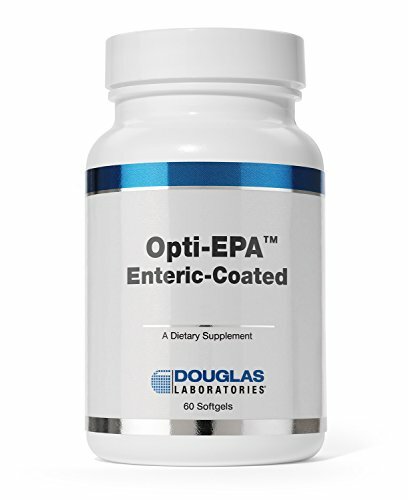 Opti-EPA is concentrated marine fish oil, providing enriched levels of eicosapentaenoic acid and docosahexaenoic acid. Sufficient dietary levels of EPA and DHA fatty acids are important in the normal functioning of cardiovascular and neurological health. The oil used in Opti-EPA is the highest quality available and has gone through an extensive molecular distillation process to ensure the best possible product. This formulation is enteric-coated, significantly reducing the fishy taste sometimes associated with marine lipid supplements. ENTERIC COATED: This formulation is enteric-coated, significantly reducing the "fishy" taste sometimes associated with marine lipid supplements.